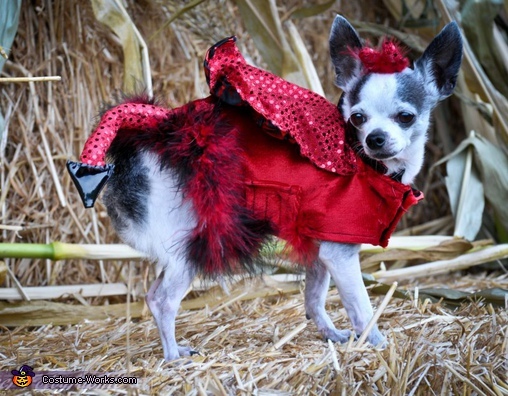 My chihuahua Odie is wearing a devil costume I made for him. It is basically a normal jacket pattern for a dog with embellishments hand sewn on. The collar and tail, horns and cape also have wire hand sewn inside them to make them stick up.